one of the 5 rock-cut caves in mumbai. 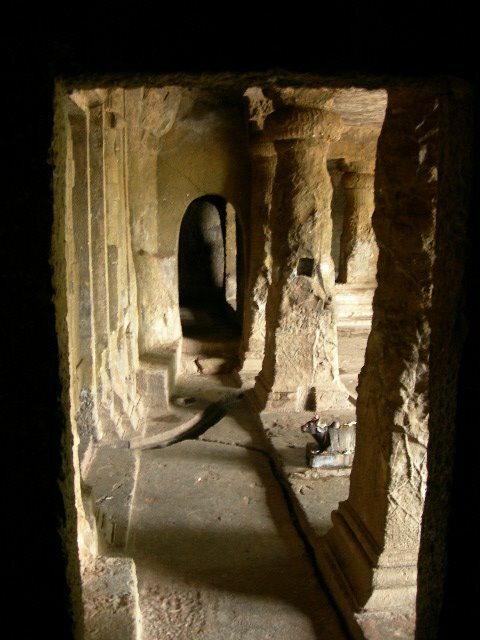 mandapeshwar caves are just 50 m away from a busy road, and yet most people are ignorant about their existance. these are very close to my place. how come you guys were there? hey Kunal i think we need to do something about this structure. the structure is lying in a pretty neglected state with drug addicts and others encroaching the space.